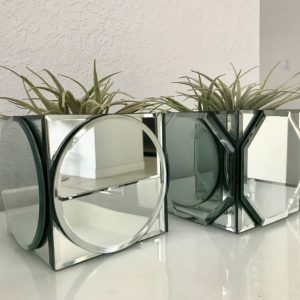 Dollar Tree Mirrored Centerpieces using Dollar Tree Mirrors. Going to the Dollar Tree is like an adventure, you get so many things with which we can create and make accessories to decorate either for our home, our office or for that activity you are planning and want to do at a low cost. Totally Transformed A Guest Room!